Avid viewers of EastEnders may recall that Sean exited the show in 2009. He was with Roxy Mitchell when he took a plunge into a frozen lake. Luck was on his side. Sean survived the ordeal but he left Walford and started a new life somewhere else. Ten years after his departure, Sean Slater is set to make a comeback on screen later this year. EastEnders confirmed that Rob Kazinsky who played the character in 2009 will reprise his role in the spring. “This year marked ten years since Sean fled from Walford after plunging into a frozen lake – a decade since I left the studio at Elstree and Sean Slater behind to move to the USA to chase a dream that seemed so farfetched,” he said. Kazinsky was also proud to say that his role as Sean at EastEnders was by far his best work. He understood his character but he also acknowledged that there was something about Sean that viewers never really had the chance to see. 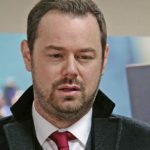 He teased that Sean has “unfinished business in Albert Square and am thrilled to be returning to what I still consider to be my home, however briefly.” Kazinsky will only return to EastEnders for a brief stint, still, he was excited to be back. He didn’t say much about the reason why Sean decides to go back to Albert Square but he suggested that the storyline will explain his return. He said he is back to tell a story, something he considers personal, and EastEnders is the perfect place for it. Kazinsky believes EastEnders remains as the most important British TV series. It is known for its courage to tell the truth and face hard storylines. He said he’s been always proud of the show for everything it has done for social awareness and his return will hopefully contribute to it. Kazinsky is extremely happy and excited to see the Slaters and everyone in Albert Square once again after a very long time.